Police were called to the Malden High School campus in Massachusetts after a squirt gun scare. A teacher’s report of a gun sighting on the Malden High School campus prompted a quick police response Monday afternoon, though officers ultimately recovered only a “neon-colored” water gun at the scene. 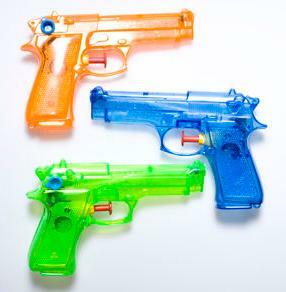 While just a toy, fake guns are prohibited on-campus and can prompt a serious police response. DeRuosi said new surveillance cameras installed as part of the school’s renovations last year will help identify the student who brought the toy to campus. “You can’t take any of that stuff lightly today,” DeRuosi said.